Important: This is a Genuine Storz and Bickel Product. Some eBay sellers are selling for less than wholesale price. Their products are FAKES! We only EVER sell genuine branded products. This is the latest starter set with all you need for your Storz & Bickel Volcano, other than the volcano itself and it includes a new balloon with special adapter for cost efficiency! This is a brand new development and could save you a lot of money! 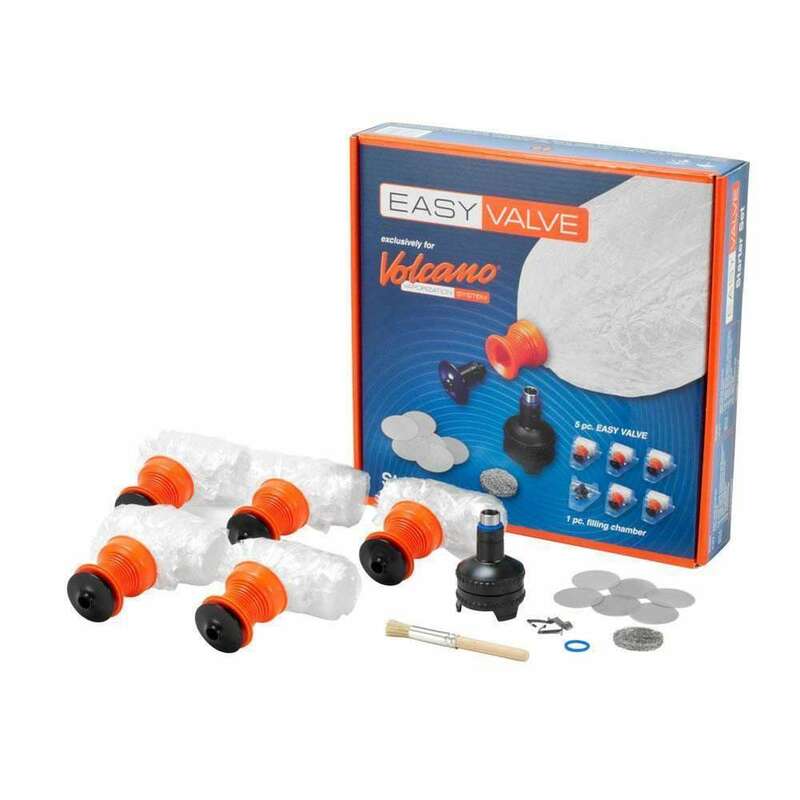 The Easy Valve system is super-easy to use and requires little maintenance. Until recently, once the balloon was no longer usable, you simply replaced with a new one. However, this is the new version of the starter kit, which includes four "normal" balloons with a fixed mouthpiece and one with a special adapter, which allows you to easily replace the balloon without replacing the mouthpiece, which means that the Easy Valve System is now much more cost effective! Returns accepted within 30 days on this item, but item must be unopened, unless faulty.